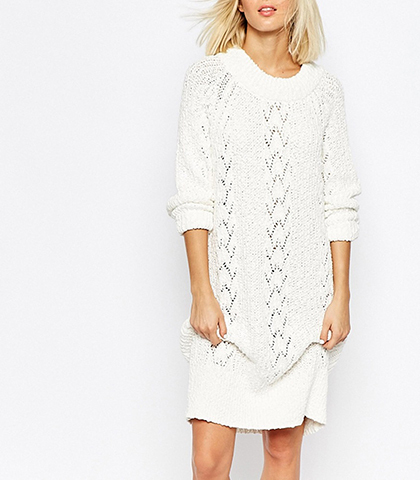 Warm and fuzzy this sweater dress in wool knit is the perfect selection for the chilly day or evening. Classic sweater automatically means warm and cuddly and this fits that description with a T. You will love the knee length with special knit trim at collar and bottom. The collar has a cowl neckline. It is appropriate for business, play, or just about anything. It is so comfortable that your sure to pick this as a first choice from your closet wear, the stylish trim makes it fashionable; and the length favorable for the occasion of your choice.